Infinite Enzymes is delivering the next generation of enzyme technologies. Enzymes are complex protein molecules produced by living organisms. Enzymatic processing dates back to ancient times with yeast being used to make bread and wine. Today enzymes are designed to be active at high and low temperatures as well as alkaline and acidic conditions. In less than a decade the enzymatic process has become a far better financial and ecological alternative to chemical processes. This is due to the biodegradable nature of enzymes and their cost-effectiveness. Today enzymes are an integral part of various industries including food, leather, detergent, animal feed, pulp & paper and biofuels. Innovation in enzyme purity and efficiency will provide the next evolutionary step in this industry. These new enzymes will greatly enhance the customer value proposition in reduced pollution and costs while increasing productivity. 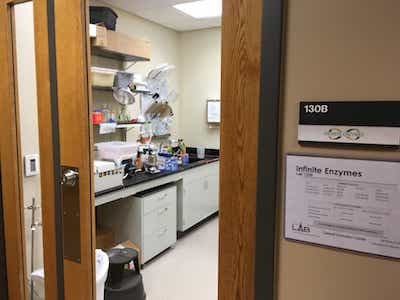 They will also accelerate the replacement of chemical processes as these new enzymes will deliver even higher product quality, lower manufacturing costs, less waste, and reduced energy consumption.